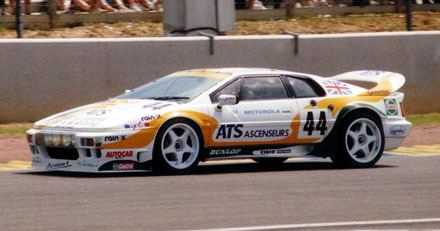 After considerable success with the Lotus Esprit X180R at the American SCCA races, Lotus decided to race the Stevens shaped S300 Esprit in Le Mans. 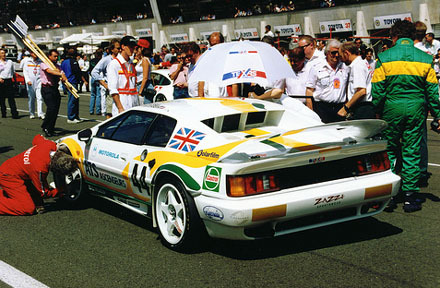 After many Lotus successes in Le Mans during the 1950's, (and absent during the 1960's, 1970's and 1980's), Lotus decided it would be good idea to enter Le Mans again and promote the Esprit. 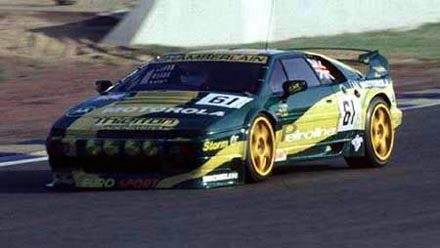 They ran 2 S300 Turbos in the 1993 and again in 1994. Unfortunately they had little success with the Esprit. 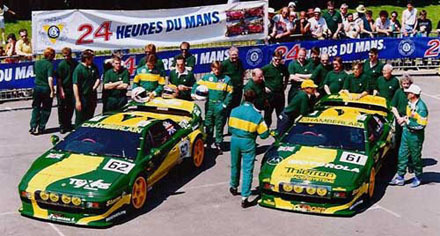 Although the cars ran well during the race, they couldn´t be cooled sufficiently during the tyre changes and driver swaps. The engines overheated and the cars were retired. 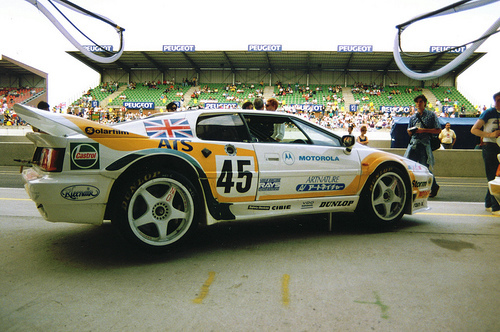 Car No 44 driven by Richard Piper of Great Britain and Olindo Iacobelli of France. 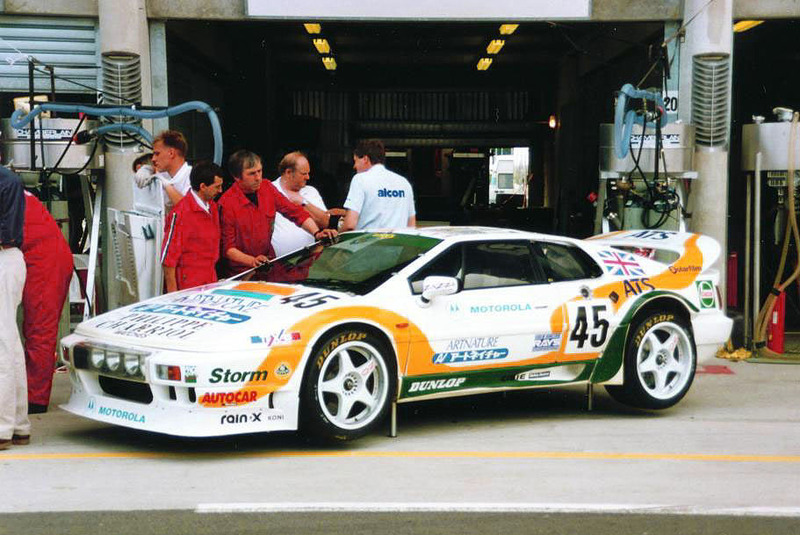 The car was prepared by Lotus Sports and Chaberlain Engineering and were 39th. on grid. 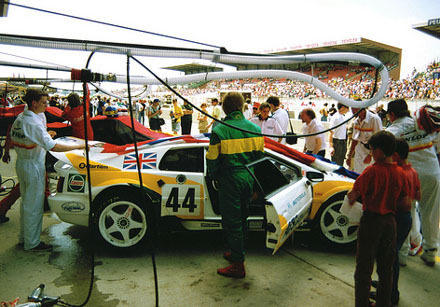 The Esprit S300 did 162 laps and retired with head gasket failure. 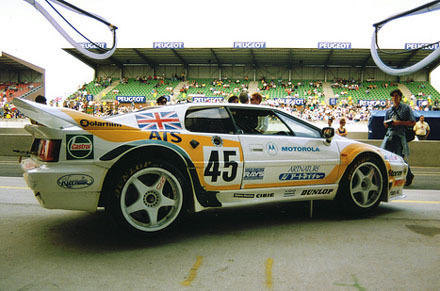 Car No 45 was driven by Yojiro Terada of Japan, Thorkild Thyrring of Denmark and Peter Hardman of Great Britain. 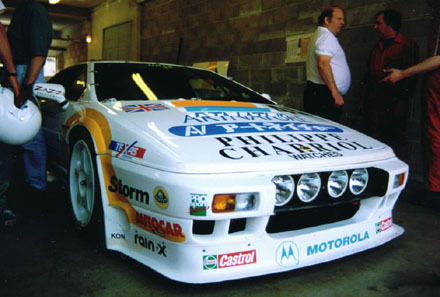 The car was a modified Lotus Esprit Sport 300 and was prepared by Lotus Sport and Chamberlain Engineering. 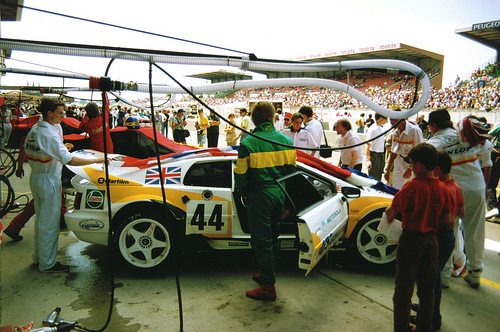 The car was 42nd on the grid, however retired after 92 laps with engine failure. 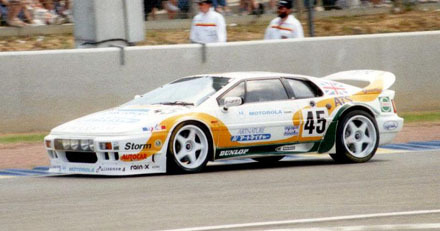 Lotus Esprit car 62 was driven by Richard Piper and Peter Hardman of Great Britain. 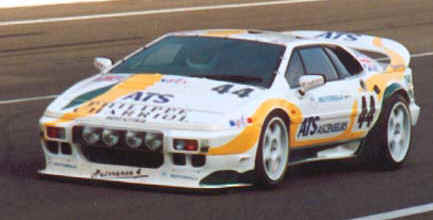 The Lotus Esprit S300 was also prepared by Lotus Sport/Chamberlain Eng and was unfortunately involved in an accident on lap 45 lap. 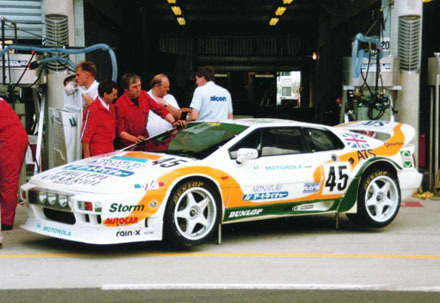 Car No 61 was driven by Thorkild Thyrring of Denmark and Klaas Zwart of the Netherlands. 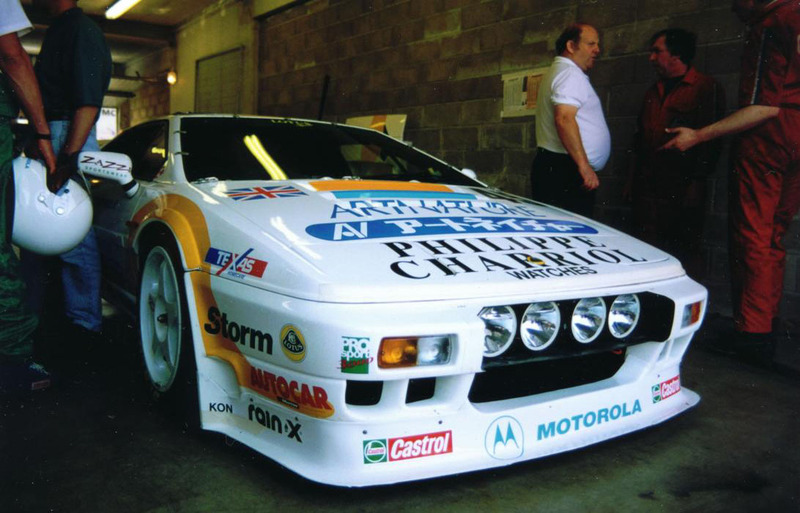 The car was again prepared by Lotus Sports and Chamberlain Engineering. 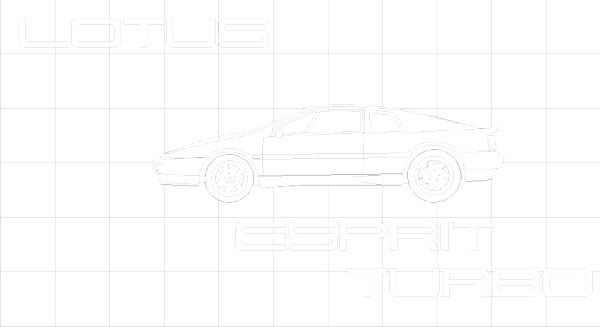 The Lotus Esprit S300 Turbo again failed to finish, completing 42 laps. 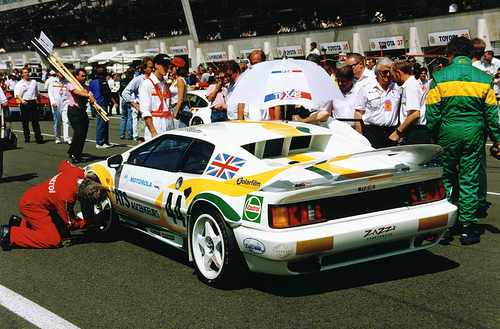 Lotus was to continue entring the Lotus Esprit at Le Mans. 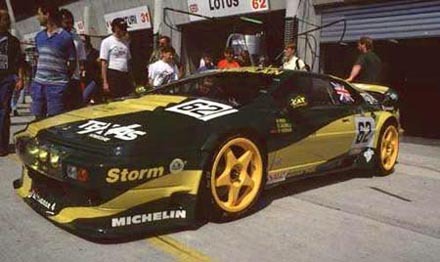 In 1996, Lotus entred the Lotus Esprit V8 GT1 car at Le Mans.